A Ockershausen:	This is Andy Ockershausen and this is Our Town. And a very special guest, a woman who’s quite an accomplished business woman. She graduated from Cornell, holds a Masters Degree, Master of Science Degree from the London School of Economics. Now, that one I didn’t … That must’ve been your dad’s idea. Catherine Merrill Williams. She chairs the board of Visitors at the University of Maryland School of Journalism, a member and Former Chapter Chair of YPO. I know what that is: Young President. Remember those good old days when you were Young President. She serves on the board of Ford’s Theater, Aspen Institute, Socrates Society, the Greater Washington Board of Trade, The Merrill Family Foundation, a member of CRMA— I’ll find out what that is— The Federal City Council, Cornell University Council, and the Economics Club of Washington. And, Cathy, you’re busy, busy, busy, but you’re a wonderful, wonderful example of a hard-charging woman and that’s Catherine Mary … Merrill Williams, welcome to Our Town. Cathy Merrill Williams:	Thank you. Andy, thank you for having me. A Ockershausen:	You’re such a big part of Our Town because of what your father did and what he started. But he actually didn’t start the magazine. You’re president and publisher now. But wasn’t there somebody named Phillips involved with the magazine way back? A Ockershausen:	That’s the name I heard of. A Ockershausen:	Was it the same family? Cathy Merrill Williams:	Same family. A Ockershausen:	I did not know that. Cathy Merrill Williams:	Same family. And Laughlin Phillips was actually a CIA agent who decided that he wanted to go into the city magazine business. And, I guess, in the early years, people thought that perhaps it was some giant cover. But it wasn’t a cover. A Ockershausen:	But he wasn’t undercover! Cathy Merrill Williams:	He was just tired of being a spy and started the magazine in 1965. Did a good job. My father came in in 1977, Laughlin … it was struggling. Good content, but struggling on the business side. My father came in in 1977 and bought it. A Ockershausen:	Well, your father was also out of the government at the time, was he not? Didn’t he work for Uncle Sam? Cathy Merrill Williams:	He did. A Ockershausen:	When he took over the magazine? Cathy Merrill Williams:	He did. At the time he took over the magazine he was not with the government, but he very proudly served in 7 administrations. Cathy Merrill Williams:	And Defense Department, State Department, he ran the Export/Import Bank, NATO, White House, had a very strong government career. But he had purchased the small newspapers … some small newspapers around Annapolis, Maryland and was running them when Washingtonian came for sale. And we owned Baltimore Magazine at the time as well. A Ockershausen:	You had Baltimore before Washington? Cathy Merrill Williams:	We did. A Ockershausen:	Is Baltimore still in business? Cathy Merrill Williams:	It’s doing great. We sold it back in the early 1990’s, so that someone more local to Baltimore could run it. Cause that’s part of the success of running a city magazine is being in the vicinity. A Ockershausen:	Being there! And you certainly are and I think that your magazine has achieved something over the years that … it’s almost … You can’t have a good city, you can have Our Town as vibrant without a good magazine. I know we have newspapers, but I think that magazines are very important. People die for that magazine. Cathy Merrill Williams:	Washingtonian has great brand, and we try really, really hard to represent the city. We’re about two things, and we do them whether it’s on the web, through our events, in the stories we tell. 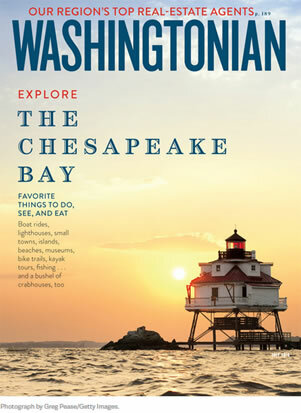 The two things Washingtonian’s about is 1: helping people to get the most out of Washington, where you find your best doctor, where you find a great restaurant, a cheap eat, a lawyer, things to do this weekend. We try to be as helpful as we can to the people of this region. A Ockershausen:	All things, all people. Cathy Merrill Williams:	Second, we try to have insight into how this town works. And, Andy, as you know, Washington is a complex ecosystem. A Ockershausen:	Oh boy. Our Town. Cathy Merrill Williams:	And it is Our Town, and that we have two states … two state governments, a local government, a federal government. We have business community, philanthropic community, arts community, and it all sort of comes together in a big mixing pot, and we try to provide insight into that. A Ockershausen:	Then you’ve got the industrial people who all have big offices here in Washington. And then you have a so-called “Washington Society”. And then the diplomatic core. It’s a big part of Our Town. Cathy Merrill Williams:	Absolutely. And we try our best to cover all of them, from Annapolis to Centreville, up to Frederick. A Ockershausen:	You sound like Our Town. We tell people that. We consider Annapolis part of Our Town. Cause Anne Arundel County means a lot to us. We consider Vienna, Virginia and Clifton, Virginia as Our Town. You do too! A Ockershausen:	And it works. Cathy Merrill Williams:	It works! And I think it will continue to work because, even for people who live in the suburbs and their jobs now … Many more jobs now in the suburbs. They still want to come into the city, they want to eat at great restaurants. They’re great restaurants in the suburbs too, but they want to come in for a night on The Town. And they want to go to the theater and they want to know what’s happening and so, it becomes essential to cover all of it. A Ockershausen:	Well, you cover it all. And it works, and it works for your Town. I mean, Our Town. But I think your mom has had a big impact on that very thing, before you got too active in the magazine, correct? She was there. I first remember Ellie way way back when your father first bought the magazine. A Ockershausen:	Yeah, and they still talked to each other! A Ockershausen:	I know that! Cathy Merrill Williams:	There’s some fights over things. Cathy Merrill Williams:	But, of course. My father, as I said, served in government a lot. And so when he would go serve in government, my mom would take over the business. And they did very well under her watch. A Ockershausen:	Kept it thriving. Cathy Merrill Williams:	And so, very strong role model for me. A Ockershausen:	And did … Well, you follow in the footsteps of two very strong people, Cathy. I mean, it’s not easy to do … to take over from them cause they did such a great job. But, you follow that. I guess, did they leave that to you in writing, what to do, or did you just learn it by working there? Cathy Merrill Williams:	No, they didn’t leave any written instructions. A Ockershausen:	You can’t write that down. Cathy Merrill Williams:	Both my parents grew up very poor, and I think the greatest gift they instilled in us was … all three of their children, was a really strong work ethic. And they reminded us very, very often that they started with less and did a lot, and they gave us a great education. First class education. We got to see the world, we had a lot of gifts from them. And if we couldn’t make something of ourselves, then there was something wrong with us. And that the secret was hard work. Cathy Merrill Williams:	Either way is fine. Cathy Merrill Williams:	He was our editor. He was our editor for 42 years. A Ockershausen:	Your mom was always so gracious to me and knowing that, seeing how that magazine had such impact it had, it was almost a must-read for everyone at work to WMAL. “Let’s find out what’s going on in Washington.” You read the newspapers, you gotta read Washingtonian. Cathy Merrill Williams:	Well, we try always to capture a little bit of gossip, a little bit of insight, a little bit of what to do to have a good mix. Let me tell you, Andy, a story about how we run the magazine that might be interesting to you. A Ockershausen:	Love to hear it! Absolutely! Cathy Merrill Williams:	Which we tell all employees that come on board. It’s called … it’s the … We run the magazine by the Chocolate Chip Cookie Test. Okay? Back in the 70’s, we did a tasting of chocolate chip cookies back when … Now we just do Best Of issues. We used to do Best and Worst. Best and Worst. And we rated Giant Foods, chocolate chip cookies the worst. We had girl scouts do the tasting, okay? So it was very unbiased. It was local girl scout troopx, and they said they were the worst. Well, you might’ve known him: Izzy Cohen. Cathy Merrill Williams:	The founder of Giant Food called my father. A Ockershausen:	Son of the founder of Giant Food. Cathy Merrill Williams:	Oh, son of the founder. A Ockershausen:	Of Giant Food, yeah. Cathy Merrill Williams:	Called my father up. Now, Giant Food was the #1 advertiser for our newspapers by a lot. A Ockershausen:	Izzy did it, too, didn’t he? A Ockershausen:	They had no axe to grind. Cathy Merrill Williams:	They had no axe to grind, and he changed it. But secondly, more important for us on how we run the company, is that it is really important that we get things, like cookies, right. We better know a good cookie from a bad cookie, a good restaurant from a bad restaurant. Because if you don’t trust us on cookies and restaurants, you’re never gonna trust us on doctors and lawyers and things that are hard to measure. Everybody knows a good chocolate chip cookie from a bad chocolate chip cookie. If we say this is the #1 restaurant, it better be a good experience. That way, you will trust us on the other things that we do. A Ockershausen:	What a marvelous . . . a great example….training. Cathy Merrill Williams:	So we tell new employees, this might not seem like a big deal, chocolate chip cookies or some little piece that you’re writing. It’s more important you get the small things right, or otherwise they won’t trust you on the big things. A Ockershausen:	And the small things are what kill you in business. Cathy Merrill Williams:	The small things can kill you. A Ockershausen:	And the magazine is still in business and it was a business. Cathy Merrill Williams:	As we started … We’ve had the best year we’ve had in ten years, this past year. We have a custom media division, an events business, obviously our web has 1,000,000+ unique people a month that come visit it. The magazine has 110,000 subscribers, and it is just going strong. Cathy Merrill Williams:	Yeah, 4.1. A Ockershausen:	Oh, is it 4.1? I knew it was pretty good. And that gives a vague number. They might not read the whole thing, but they pick it up. Cathy Merrill Williams:	Of readers. Correct. So 400,000 people. Cathy Merrill Williams:	Yeah, it’s fabulous numbers. And we try to keep it fresh and interesting and fun. A Ockershausen:	Over the years you’ve hired and paid for very good writers. And I’ve been reading it forever and … What ever happened to Rudy Maxa, as a matter of fact. He used to write for you, didn’t he? A Ockershausen:	He had one. Is it still on? Cathy Merrill Williams:	I haven’t seen it recently, but I think it’s still on. A Ockershausen:	God. You know, all the good people you’ve had. Conconi. And Chuck’s done quite well with his new career, but he was working for the Post for a while. He’s been around. He did some of the gossip that you used to print, and … I guess everything in a magazine about Our Town has some element of gospel to … gossip, does it not? Cathy Merrill Williams:	Gospel and gossip. A Ockershausen:	We don’t do any church advertising. As you can see, I’m out of it. Cathy Merrill Williams:	Yeah, it has. It has some. Cathy Merrill Williams:	We believe that deeply. We do it way beyond PSAs, even though we do a lot of public service advertisement. We support and media-partner with a lot of causes. There are great great causes in Washington. But, beyond great causes, there are great people dedicating their lives to making our community better. And we want to be behind those people. If it costs us money, we don’t care. We believe that it is our duty to the town that we live in. A Ockershausen:	And you get it back tenfold when you put it out. Cathy Merrill Williams:	Ten. Tenfold. As you know, we highlight ten Washingtonians of the year every year. You are a past honoree. And it is amazing the number of people in our community doing good work. A Ockershausen:	One of the things that I was always so proud of, and it finally got in … There were five WMAL people got in before I did, because they were so important. Like Harden and Weaver, and Trumbull and Core, and Felix Grant, Bill Mayhugh were all in Washingtonians of the Year. Going way back. I dunno when Harden and Weaver got in, but right after. I guess after your father took over in the 70’s, they got in. But they should’ve been. And then I finally got in. It’s quite an honor. And it’s a marvelous gathering that you have every year. I think that is so important to put all these people from different walks of life together. It really is working. I love it. Cathy Merrill Williams:	And that’s really part of the secret is, have a table. Because, as you know, a lot of time honors aren’t … You know, you’re raising money. This is … We really want to say thank you. A Ockershausen:	And it does. And one of the things that is … different people from different walks of life come to that lunch and you feature them in your magazine. But here’s a chance to see them live, and it means a lot to me. A Ockershausen:	They’re just people. Cathy Merrill Williams:	And it’s an impressive group. A Ockershausen:	I’ve seen some of the people that weren’t billionaires like Joe Robert. All of a sudden, Joe Robert is a billionaire. It just happened. He just was a poor boy from Takoma Park, or Silver Spring. And now he’s a billionaire. And Joe’s not with us anymore, unfortunately. But, Cathy, we were talking about Our Town and we’re gonna be right back and talk some more about your background and what you brought to the table. This is Andy Ockershausen, this is Our Town. [Commercials] Attorney Mike Collins: Maybe your kids are about to graduate from college or even get their graduate degree, or you’re looking forward to retirement, finally. Don’t go another day without getting your legal house in order. This is Attorney Mike Collins. Let me show you how to get a basic estate plan in place that will protect you and your loved ones in the years ahead with our trademarked Reservoir Trust. All I ask is two hours of your time. Check the mail for your special invitation and register now at mikecollins.com. I’ll even waive the tuition. That’s mikecollins.com. A Ockershausen:	Having a delightful conversation. And, I say again, Cathy, this is conversation between two friends. And with … what’s in Our Town, it’s so important. We do it everywhere we go. We’ve got so many friends. As you have, in your magazine, and you have as the publisher, you’ve got a lot of friends. And that’s important. Cathy Merrill Williams:	I am blessed to have a lot of friends. But, you know, Washington is a very welcoming community. Cathy Merrill Williams:	I don’t think the rest of the country realizes it. I just went … Two nights ago in our neighborhood, it was a welcome-the-new-neighbors party. And that is so common everywhere, cause so many transients came to Washington and I don’t think you get that a lot of other places where you have this constant welcoming of people. So the friendships grow and grow. I feel really really blessed and lucky. A Ockershausen:	You live in the city, Cathy, still? Cathy Merrill Williams:	I do. I live right in the city. I live in Kalorama. Cathy Merrill Williams:	So I have some fancy new neighbors. A Ockershausen:	I was about to say. Kalorama was off the charts when I grew up here. Spring Valley was the place. Now Spring Valley’s come down and Kalorama’s come up. And that’s the way it is with money, right? The money moved back down. Cathy Merrill Williams:	We have the politics that have moved to Our Town. Our neighborhood. Janice Iacona Ockershausen:	How is it affecting your movement? Cathy Merrill Williams:	Traffic. We have the Obamas moved in, Ivanka Trump and Jared, and then Rex Tillerson, and Jeff Bezos. So it’s … And, mostly, it’s traffic. A Ockershausen:	But welcome it! Cathy, welcome it! Because you’re gonna get a lot of Secret Service protection in that area. And the gangsters and . . .
Cathy Merrill Williams:	We love the Secret Service. I will say that people who live very close by those homes … You know, Secret Service can talk loudly in the middle of the night. You know, it’s traffic and parking. Cathy Merrill Williams:	Same in every community in America, that’s what everybody cares about. Cathy Merrill Williams:	We see them all the time now, and it does definitely make me feel safer. A Ockershausen:	And when he moved … I didn’t get to see him. I’ve met the man several times. He moved downtown. Incidentally, what do you think of Our Town with the building boom that’s going on? Cathy Merrill Williams:	I think that it is fantastic. However, I think we need to concentrate on making the schools better. Because the whole area by the ballpark, The Wharf, CityCenter are exploding and it is terrific. But if we don’t build great schools there, then the people moving in aren’t gonna stay there, and we’re gonna end up with a race to keep replenishing those apartments. And, so, I think between Michelle Rhee and Kaya, and now the new Chancellor. We’re on the right track, but it comes down to schools. A Ockershausen:	And you’re so right. And schools. And it also comes down to parents. One of the things I was reading, it wasn’t in your magazine it was … Must’ve been in the Post. About the disparity between two or three of the Wards and the rest of the city. And that’s really getting worse, it’s not gotten better. And I don’t know what they’ll do about that. Cathy Merrill Williams:	Across the river. It’s a real problem across the river. We have got to focus there and there’s some real great shining lights over there. THEARC. A Ockershausen:	Oh, THEARC is great. Cathy Merrill Williams:	Exactly. But we need more help to build across the river. And hopefully the 11th Street Bridge will start to do that. A Ockershausen:	I would hope you’re right, cause it used to be … Anacostia used to be one of the garden spots of the city. I’m talking 70 – 80 years ago. I know from my family, a lot of them came from Southeast. But they were in the Anacostia part. And then it went downhill really fast. Right after WW2, it changed completely. But it used to be a lovely area. Cathy Merrill Williams:	People don’t realize how beautiful it is there, and the parks that are there. It is very very pretty, but it needs real economic boosting, and it needs a revitalization. A Ockershausen:	Jobs, jobs, jobs. But we hear that. But all the people that talk about jobs are not pushing it, and I don’t know how we can do that, Cathy. But I hope … I don’t want these people to move to Prince George’s County, and that’s what’s happened, unfortunately. The money-people have moved them out of town into PG County. Cathy Merrill Williams:	Hopefully, the building boom rising tide will lift all boats and it will become better. But it is part of our city that we can’t forget. We need to help. A Ockershausen:	Prince George has done a great … Baker, Rushern Baker. He’s done a fabulous job with it. Cathy Merrill Williams:	He’s a Washingtonian of the year. A Ockershausen:	Isn’t that great? It’s so … What he has done, the money that’s coming into the county now. I hope they use it for education. That’s what … Supposed to be earmarked for that. But you never know. Once the money gets in people’s pockets in the government, what happens to it? So you gotta stay on that. And you have the magazine to do it. Cathy Merrill Williams:	Well, I hope so. Anything we can do to highlight people like Rushern and the woman who runs Prince George’s County Community College. A Ockershausen:	Yeah, she’s terrific. I know who you mean. Cathy Merrill Williams:	Yes. Is terrific. And I agree with you, it is real education and hopefully we help everyone in our society. A Ockershausen:	I hope you do. And one of the things that we were talking about with you that is so important, and I emphasis this with everybody, that the best thing you can do in business here is to give. Cause when you give, you get it back many ways. A Ockershausen:	Your time is as important as money. If you can give your time to a charity, as you do, it’s so important! Cathy Merrill Williams:	But it’s the … You get the reward. I mean, I get the reward. A Ockershausen:	Oh, you do. Cathy Merrill Williams:	More so than anything else. And I am really blessed. There are a lot of people who want to get involved and don’t really know how. And I should say, in the magazine, every December we publish a Giving Guide on where you can give money, or where you can give time. It can be found online at www.washingtonian.com, so if you can only give an hour a month, or you want to give an hour a week, and you’re not sure whether you want to do something in the arts or in children’s education, or in the environment, we list a lot of great charities that you can get involved with. A Ockershausen:	Opportunities, right there. If people want to look for it. A Ockershausen:	Did your … your mom was very big at that, I know. Started you and the charity thing many many years ago. Not you, but the magazine and all the people. Cathy Merrill Williams:	Well, we were raised to give back, and give back, and give back, all four of our grandparents were immigrants and so they came here with nothing. And, as I said before, my parents did very well and they taught us the gratitude. A Ockershausen:	Well, fortunately for Janice and I … Janice’s family’s from Italy, way back. And we got married in Italy. And one of the reasonsis that we went back there to be close to the family, and we found that everybody in this one town has got the same name. Iacona. So it was easy for us, and we loved it. But we also realized we gave a lot to our country and our people there, and so forth. As your people did. And it’s paid off in so many ways. Not only personally, but professionally. We’ve had a wonderful life. Anybody’s whose raised in Washington, as you and I were, has had a chance to have a wonderful life. Cathy Merrill Williams:	It’s true. It’s a very very special place. And even when we talk about giving back, the fact that we live in a city where there are so many national organizations that are headquartered, but we have local chapters as well, and we have some of the best, because they’re here. It is … You know, it is quite extraordinary. Cathy Merrill Williams:	The dogwood’s are making a comeback. You know, they were all killed in the 90’s through a disease and they’re just starting to come back. A Ockershausen:	That’s right. They’re coming back strong. And we go through AU Park and parts of the city you might not think of is still going crazy with blooms, but … We wrote a theme about WMAL many years ago, was written for us, particularly to emphasis the city of Washington. And we emphasis the wooded hills and the green streaks. You know? I’m looking from our house and it looks like we’re going through a tunnel. A green tunnel in Our Town, in Massachusetts Avenue. Cathy Merrill Williams:	Well, Restore Mass Ave is another great organization that has done a lot to bring trees back to our city. Cause if you take satellite images of Washington over the last three, four, five decades, you can see how the greenery has just gone away. And it shrinks. A Ockershausen:	It shrinks because of the building. Janice Iacona Ockershausen:	Weren’t we the city of trees? Ken Hunter:	At one time we were. Cathy Merrill Williams:	Yes, we were. We still have a lot of trees. I agree with Andy. When you drive around, there’s still a lot of trees. But when you look at the, it’s called the, tree canopy from a satellite, you can see how it has shrunk and shrunk. And that’s part of the balance of growth. And jobs with protecting the environment and the Chesapeake Bay. And so, hopefully, we can strike the right balance and have good growth and smart growth, and still have protection and greenery. A Ockershausen:	Crab crop they’ve had in years, and we’re waiting for it. Cathy Merrill Williams:	You know, I … Even though I was born in DC, I really grew up on the shores of the Bay. So we catch a lot of crabs, we eat a lot of crabs. My kids knew how to catch crabs when they were three and five. We have traps, we grow oysters, and so I hope you are right. I hope that it’s gonna be a good catch this year. Last year was decent, not great. But it also depends, every little creek and river is different. But, by the way, the reason the crabs are up is because of good policy by the Chesapeake Bay Foundation, and in Virginia not catching female crabs. Putting some restrictions on that. A Ockershausen:	They’ve done a great job. We’re dues paying members of the Foundation. Cathy Merrill Williams:	Good! Thank you. Excellent. A Ockershausen:	We support them in every way. And now the latest thing is writing and raising how what the government … We don’t want to lose that money from Uncle Sam because that Bay does not belong to Maryland. It belongs to the United States of America. Cathy Merrill Williams:	It is the biggest estuary in the United States, and if you take the shoreline of the Chesapeake Bay and you stretched it out, it would run from the bottom of Florida to the bottom of Maine. Maine also has a lot of creeks and coves. But it’s quite … 2,500 miles of shoreline. It’s very special. A Ockershausen:	It’s spectacular body of water. 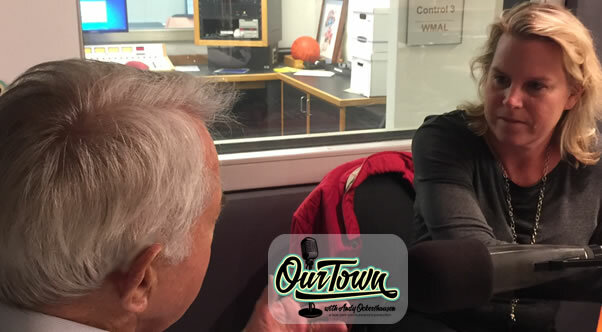 Cathy Merrill Williams:	We did an issue last summer on the Chesapeake Bay on exploring the Chesapeake Bay that sold really really well. A Ockershausen:	You guys do such great things, Cathy. All due to your mom and dad, and you’ve picked that mantle up and ran with it. And it’s not easy. Cathy Merrill Williams:	I can never fill their shoes, but I do the best I can. A Ockershausen:	But they’d be so proud of you, I know that. As we are. And proud of Washingtonian and proud of everything you do, and we wish you nothing but great success. When is the Washingtonian summer party? Is that coming up? Cathy Merrill Williams:	Oh, yes, it is! It is June 6th. June 6th at the National Building Museum. Washingtonians Best. It’s AT&T’s Best of Washington’s Party. 65 of the top 100 restaurants give out samples and we would love for you to come. A Ockershausen:	That’s our wedding day. June 6th. That’s our 25th, 24th wedding anniversary. June 6th we’re going to the Washingtonian party. Janice Iacona Ockershausen:	Is that gonna be our anniversary party? Cathy Merrill Williams:	Yeah. You’ll eat well. You will eat well. A Ockershausen:	We’ll show up anyway. You know, even if it wasn’t our anniversary. But Catherine Merrill Williams, you are so delightful and God bless you and the Washingtonian Magazine for all you do for Our Town. It’s made it a great place to live. Cathy Merrill Williams:	Thank you. I was delighted to be here and talk to you. A Ockershausen:	It took a little while to get you, but it was well worth it. 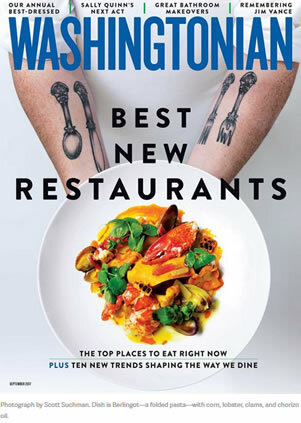 And good luck to you, and to Washingtonian Magazine. And this is Andy Ockershausen, and this has been Our Town. Announcer:	You’ve been listening to Our Town, Season 2. Presented by GEICO, our hometown favorite. With your host, Andy Ockershausen. New Our Town episodes are released each Tuesday and Thursday. Drop us a line with your comments or suggestions. See us on Facebook, or visit our website at OurTownDC.com. Our special thanks to Ken Hunter, our technical director. And WMAL radio in Washington, DC for hosting our podcast. And thanks to GEICO. 15 minutes could save you 15% or more on car insurance.